The telecom space has seen a recent surge of mergers and acquisitions. Telecom giants like Verizon and AT&T are regularly acquiring competitive provider’s services, in an effort to fight for larger market shares. The challenges of rapid increases in data demand and traffic volume are being addressed by consolidating providers in an effort to help fill some of the service gaps. Particularly, in order to stay competitive and remain valuable to large enterprise companies. With these mergers, comes the undertaking of managing a properly structured process for existing clients and accounts. It seems that many of the telecom providers fall short, particularly in the area of end-user billing, customer care, order management and workflow, when completing these mergers. I see the direct impact of these inefficiencies when dealing with many telecom providers and their IT platforms. I once had a client undergoing an inventory optimization. In order to disconnect services, all of which were on the same account, I had to speak with over five different internal departments to place the request. These challenges are all too common when telecom providers undergo mergers, leaving their customers to deal with the headaches trickled down as the result of failed change management in systems and procedures. · Common Systems and Platforms. Walmart uses a centralized information system (IS) with conventional computer languages. 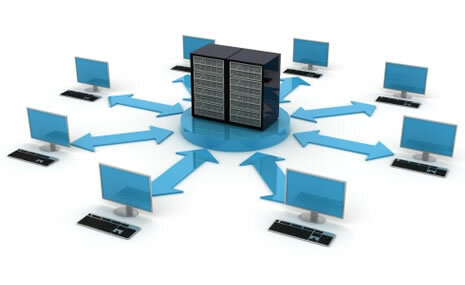 Doing so allows the company to maintain one of the lowest IT expense structure through simplified resource allocation. It also provides a competitive advantage by creating a unified database for the most efficient retrieval of key reporting information. As telecom providers race to optimize their network, the savings achieved from the use of simplified IS systems can be used to fund these types of expansions. · Scalability. As Walmart began to rapidly expand, the focus switched to building a platform designed to handle more concurrent processes and end users without requiring too much additional storage capacity. Too often, telecom providers ignore the IT scalability of the new provider or their own systems. The result of this poorly handled IT integration between merging telecom companies creates significant delays and inconveniences for clients inquiring about their telecom services; for simple billing questions to locating legacy information during network transformations. Platforms should be designed to handle the additional process driven demands that come with rapidly expanding customer bases. · Structure. With mergers and acquisitions comes the additional challenge of maintaining client satisfaction. Initially clients are unsure on where and how to direct certain requests. When requesting data from a legacy provider’s account from the new merged company, I am often transferred from department to department with no one able to provide clear direction on is able to address the issue. Establishing the merged company’s program in a structured way allows clarity to everyone, both client and customer agents, on who has the ultimate authority and who is responsible for addressing specific requests. The best way to deal with the rapid nature and the need for integrated data that comes with a merger is to establish authoritative guidelines to assist everyone who will be managing it. · Consolidating Customer Data. My core roles at Source One include performing inventory management, invoice auditing and processing for clients account. These tasks become particularly time consuming when working with telecom providers using their legacy systems to provide information across multiple systems. Often times, customer agents are unable to retrieve common account related information being requested due to it being contained in a disparate inaccessible database. Platform upgrades and improvements handled throughout the merging process should be built on the premise to easily integrate with legacy system components.